Every Monday evening, for the past 3 years, I’ve been trekking up a mountain, both in the physical and spiritual. 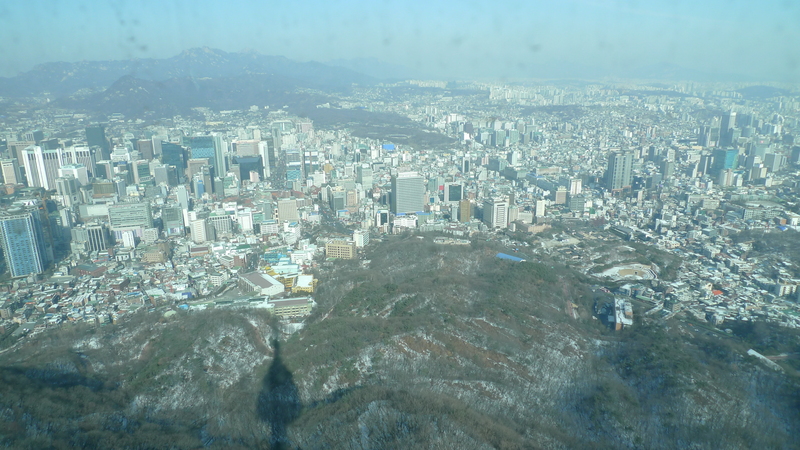 I travel after school via bus, subway and foot to Namsan Mountain located in Myeong Dong. It takes me a good hour if I make the subway transfers quickly. By the time I climb up the steep, curvy, and narrow street just wide enough for a car and pedestrians on both sides, I am usually breathing a bit heavier and realizing how out of shape I am. 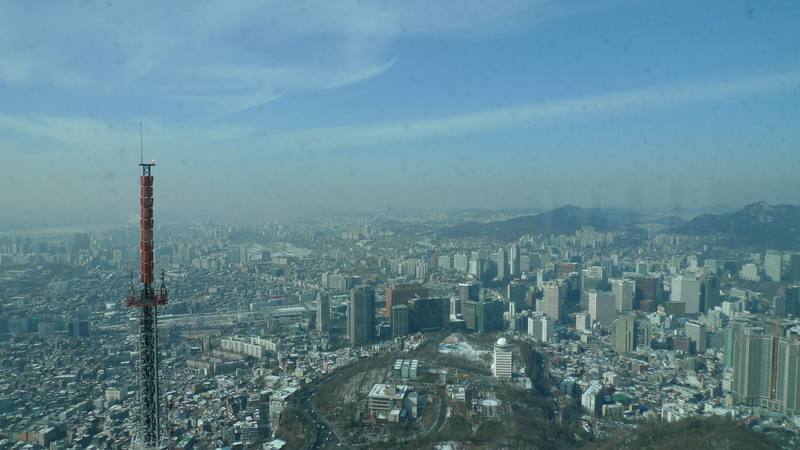 The good ten-minute walk up the street to where the orphanage is located is not the most pleasant, especially when it’s freezing winter Seoul weather. Every Monday evening, as I walk up the mountain to the orphanage where I volunteer to tutor a 14-year old Korean girl in English, it has been a spiritual mountain to climb as well. Part of my reason in volunteering was this verse that has always spoken to me deeply, “Pure and undefiled religions in the sight of our God and Father is this: to visit orphans and widows in their distress and to keep oneself unstained by the world,” James 1:27. Yet, sometimes I admit I didn’t want to go. I would try to think of excuses of why I shouldn’t go. However, I would still go, sometimes with an unwilling attitude in my heart and then after working with my girl and seeing all the loving kids in the orphanage, I am full of joy. In Korea, many of the children in the orphanages are not true orphans. Many of them do have 1 or 2 parents still in Korea, but for whatever reasons (financial, mental, physical, etc…) cannot take care of their child and send them to the orphanage. One would hope that would be an absolute last resort, but sometimes, it seems almost like an easy way out. They are allowed to keep in contact with their child in the orphanage and sometimes after a year or two some children do go back to their parents. It is not as common and desired by Koreans to adopt kids like in the U.S. There is no foster care system here. Many kids that have been given up or abandoned by their parents come to these orphanages. There is unfortunately a negative stigma against orphans in the Korean society and people look down on them. One of the most heart breaking things I’ve heard is that sometimes teachers in school, when they find out their student is an orphan, they treat them badly and give up on them. These are the people that I would hope would do exactly the opposite of that. I do hope and pray that there are teachers that give these orphans more love, like I would. Every Monday evening, I wonder, am I really making a difference? As my Monday’s in Korea are coming to an end, I’m slowly coming down this mountain. I hope she realizes that even though I might not be there with her physically, I will be supporting her through my prayers. I’ve persevered, weathered a bit of my soul and learned that God’s love can overcome mountains of any size. Oh Jee, my heart breaks for all the children in the orphanages. I don’t understand teachers who would treat those children differently. That makes me sad, but also angry. You have made such a difference in the lives of so many children. I love your honesty that sometimes you didn’t want to go but you did and felt better for it. Bless you! I’m with Elsie–my heart breaks for them. And as my grandpa used to say, “There is a star in your crown in heaven”. What a wonderful thing for you to commit to–even when it would be easier to not go. I enjoyed this slice. You took me to a place I’d never been and an experience (being in an orphanage) I’ve never had. You are teaching your student many things about life. Much about compassion and giving of yourself. I suspect she teaches you a lot, also. Thanks for sharing. I am inspired by your courage and perseverance. I’m sure you will stay with this child the rest of her life. She will always know love. I really needed to read this tonight. My school district has decided to cut important stipends, and the news today, along with the amount of my salary cut, has made me reel in anger and frustration. Your slice has helped put things into perspective for me. I admire your dedication and salute you in your mission to make a difference. I wish I weren’t so disillusioned tonight. Thanks for the words. I’m so sorry to hear about the cuts at your school. I’m sure that is incredibly frustrating. The journey of a teacher is definitely not an easy one. I’m glad to hear that my post helped put things in perspective for you. I too needed your reflective post. I will be adding the children orphaned in Korea to our prayers. Thank you. Wow, thank you so much! Your prayers are needed!! Thank you for this great post. I appreciate you work with these children or child. It is so important that all children have someone who takes a bit of time for them. Jee- You are definitely making a difference not only in that little girl’s life but also in the lives of your readers. This is a lovely, heartfelt post. I’ll be stopping by your blog often to see what you’re up to! I love the photos! I regularly tell my students that reading can be a mirror to help us understand ourselves better, or a window to understand the world. Thanks for opening a new “window” for me tonight. And richest blessings as you minister to this sweet princess of the Most High King. Thank you for the glimpse into Korean society’s view of orphans. I am sure you are making a difference, though it will be hard on both of you when you leave.